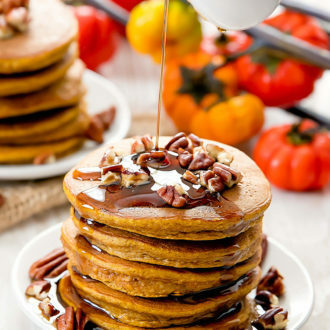 These fluffy pumpkin flavored pancakes are gluten free and do not contain any wheat flour. 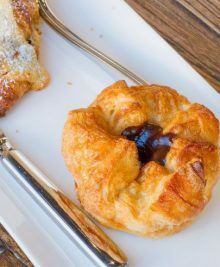 They are easy and perfect for Fall. 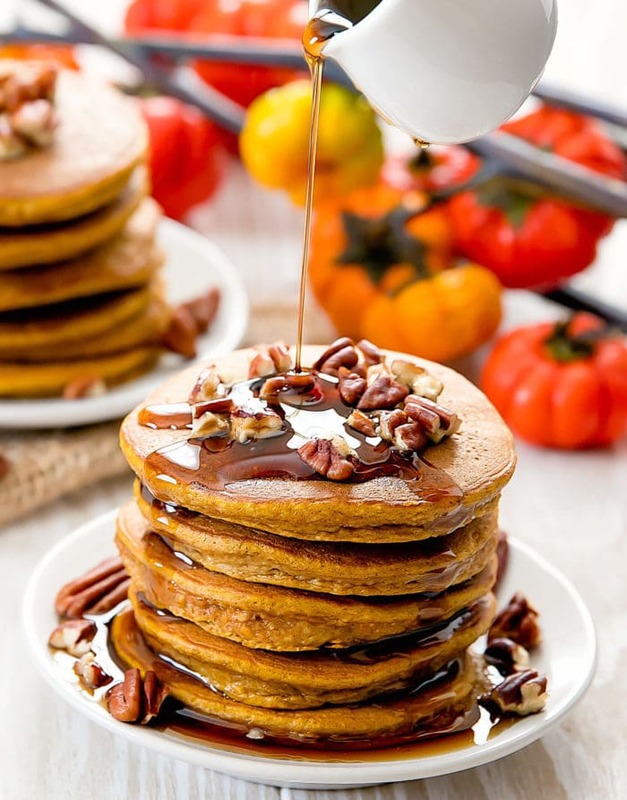 With the addition of oats, these pancakes puff up just like traditional pancakes and make for an easy breakfast or brunch. 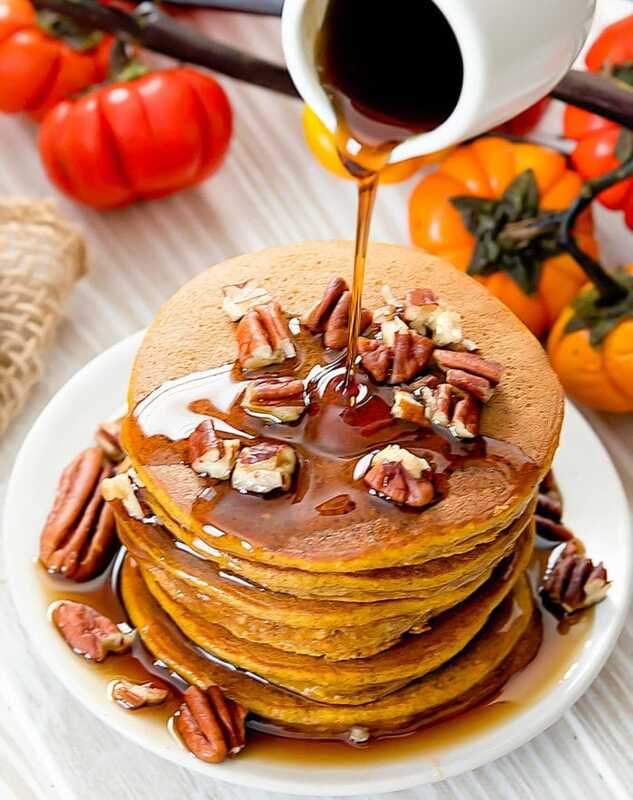 I previously made flourless banana pancakes and with some tweaking, I was able to create a pumpkin version that is perfect for Fall. Like the banana version, it’s best to keep these pancakes small. I topped them with toasted pecans and maple syrup. These mini pancake stacks were so fun to eat! 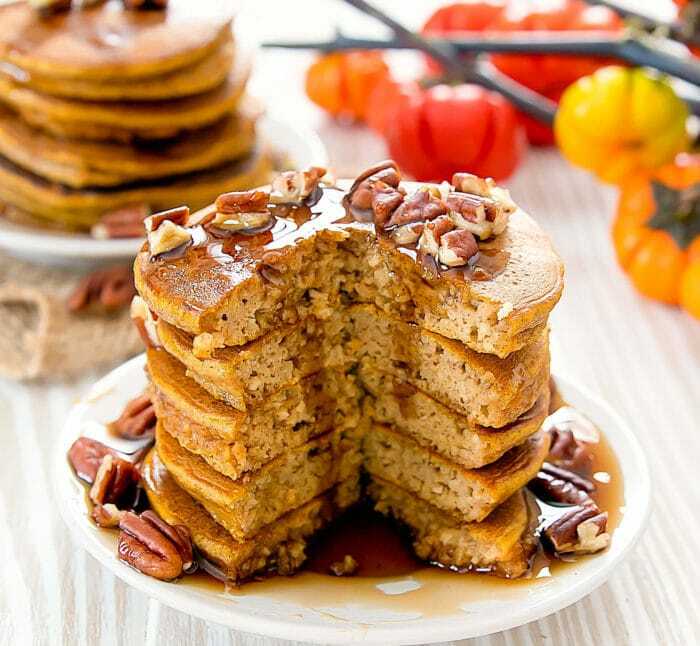 These flourless pumpkin pancakes are fluffy and gluten-free. In a blender, add all ingredients except maple syrup. Blend on high speed until everything is evenly mixed and oats are the size of large crumbs. Grease a skillet or griddle with cooking oil spray and bring to medium heat. Pour 2 tbsp of batter into the skillet once it is hot. Try to keep the batter to 2 tbsp because if they are too big the pancakes will be hard to flip and will start to burn before they are fully cooked. Cook pancake until bubbles appear on the surface and begin to pop. Carefully flip pancake over and cook a few more minutes until it is cooked on both sides. The first pancake will likely come out looking unevenly colored, but the pancakes you cook in the same spot after should look golden brown on top. Repeat with remaining batter. 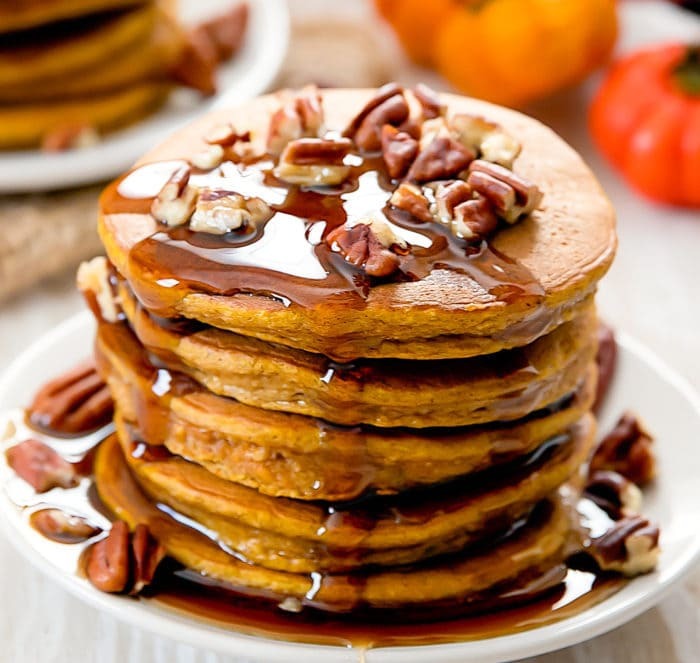 Serve pancakes with maple syrup and other toppings like toasted pecans. The nutrition estimate does not include the syrup or other toppings. What size canned pumpkin are you using? Like a 15-16oz or a 28 oz can? 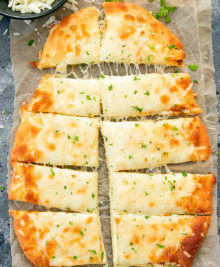 The recipe only uses 1/4 cup puree which is very little no matter which size can you use; you won’t be using the entire thing. 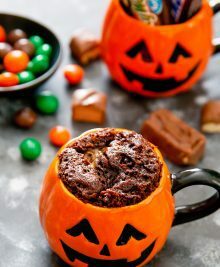 I try to go gluten free and I do love pumpkin — this looks like a great recipe to add walnuts or pecans to! yes, pecans and walnuts are a great addition!